LeFrois partners with you to select a suitable location, attain proper approvals & construct exceptional buildings. Our knowledge and reputation for responsible development streamlines project approvals all over Upstate NY. Our analytics provide you with realistic financial projections. We do sale-leaseback agreements so you can focus on your core priorities. Have specific building requirements? It can be hard to find available properties that address your unique needs. Thankfully, our vast network of developers, brokers, and real estate professionals keep us well informed of available land sale opportunities. If you want to expand your business or develop already-owned property, our highly skilled team of development professionals will readily assist you in the site selection process. Worried about unknown development roadblocks? LeFrois is well versed in site requirements & land restrictions. We’re able to help customers plan developments that meet all regulations. We maximize your approved property in a way that’s economical to build and aesthetically pleasing to its surrounding landscape. Trying to fit your project into a strict budget? Our experience as developers has earned us a healthy understanding of marketing, design and construction, building operations, and real estate finance. When we analyze the feasibility of your project, we provide realistic financial projections. From there, we can formulate alternative development structures that incorporate your economic goals, tax considerations, and accounting requirements. Did you know just gaining site approval could take as long as a year? If you’re hoping to get a project moving, most communities will slow you down with complex public approval processes and stringent environmental regulations. LeFrois streamlines this process for you. By working effectively with public agencies, gaining community support, and fulfilling our commitments, we have established a valuable reputation for real estate development in Upstate NY. Our reputation for responsible development encourages the cooperation of all participants so that your project gets approved as soon as possible. Want to free yourself of burdens getting in the way of your core responsibilities? A sale-and-leaseback agreement allows you to obtain capital and relieves you of facility operations and property management – which happens to be one of our specialties. Here’s how it works: you sell your property to LeFrois and we agree to lease the building back to you under a long-term arrangement. We equip you with the most suitable of our strategically located & functional buildings. Our in-house staff cares for all your needs before and after your transition. We equip you with the most suitable of our strategically located & functional buildings. Our in-house staff cares for all your needs before and after your transition. Our meticulous project build-outs save you costs and stress before and after your move. Our properties consistently exceed a 95% occupancy rate. We have a great reputation leasing & managing property in Rochester NY. Since the founding of the firm, we’ve managed our own buildings with our in-house staff. Our property management department applies an incredible level of attention and detail to your project and transition. We evaluate operating systems, specify reviews, and life-cycle cost studies. Our property management staff also works with our construction managers in overseeing the installation of building systems and equipment. They assist you during the initial operation of the building and are also available to manage the completed tenant space. LeFrois’ meticulous project planning frees you from the stress that usually accompanies vacating your existing space. When we’re in full control of both the construction build-out and leasing, we accurately estimate the construction budget and project schedule. We provide our tenants competitively priced spaces within budget and often sooner than scheduled. Our 95% occupancy rate is due to our diligent commitment to each of our tenants and impressive real estate. You’re going to love your new building because of it’s thorough functionality, energy efficiency, and aesthetic design. Whether you’re commercial, industrial, institutional, or retail, you will benefit by leasing from our property spaces. We eliminate hindrances to your day to day operations. 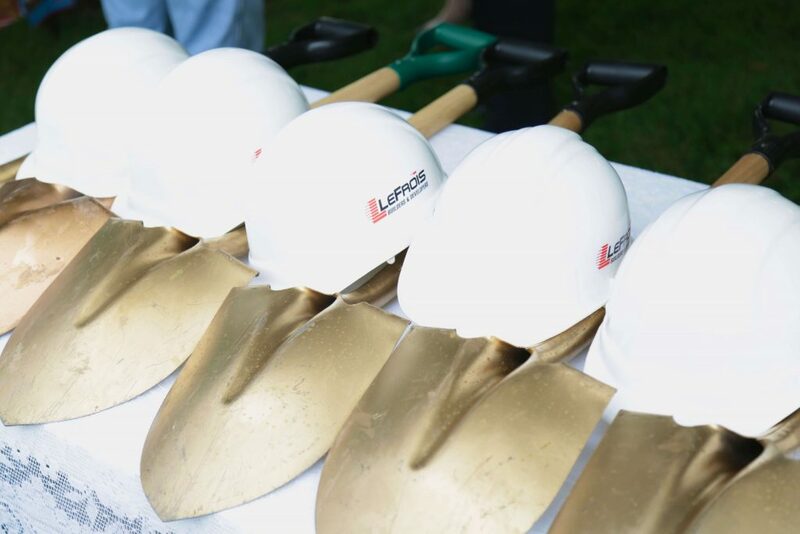 LeFrois assists you with potential tax savings and financing options for your construction project. We help you determine your project’s cost viability by guiding you in understanding and working through all aspects involving government agency programs. 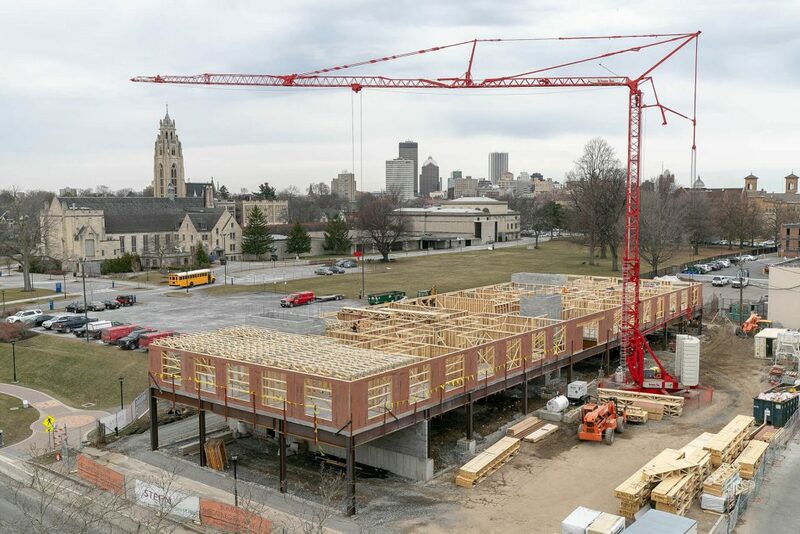 We’ve developed great working relationships with many economic development partners in the Rochester area. Economic Development Assistance (EDA) programs are often critical components in determining the cost viability of a construction project. Our staff is well-trained to assist your company with not only understanding what economic development programs are offered by various government agencies, but also with the intricacies of working through each program. LeFrois helps you from the very start of the application process. We are very thorough and make sure no time deadlines are forgotten or program opportunities are missed; thus, maximizing the economic development assistance available to you. Over time, we have developed a very good working relationship with many of the economic development partners in the Rochester & New York area (including some of the ones listed below).